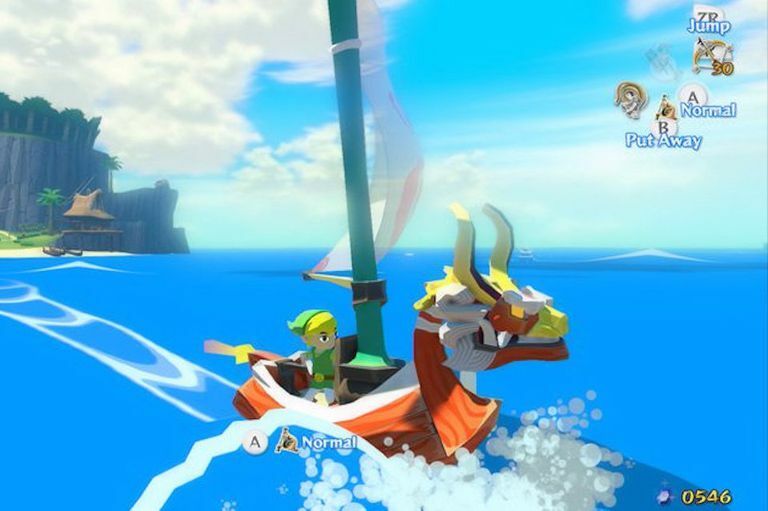 What Does it Mean That Some Wii U Games Run in 1080p? What Does That Mean and Should You Care? What is the difference between a game running in 1080p versus 720p? How much difference does it make to the way a game looks? Some Wii U games support a native 1080p HD resolution, including Super Smash Bros. for Wii U, The Legend of Zelda: Wind Waker, Rayman Legends, and Monster Hunter 3 Ultimate. 1080 refers to the number of horizontal lines of visual information displayed on a television screen. For comparison, the Wii, like pre-HD TVs, offers a measly 480 lines. The more lines, the better-looking the image. The “p” in 1080p stands for progressive scan, as opposed to “i” for interlaced, and tells you how the image is output to the screen. An interlaced scan outputs every other line then lays in the other lines in the gaps left by the first scan. Progressive scans place the lines in order, resulting in a crisper, smoother image. Because of the difference in quality between interlaced and progressive scans, that 720p (720 lines, progressive scan) is equivalent in quality to 1080i (1080 lines, interlaced scan). The more progressive lines you've got, the more quality you theoretically have, but if you are playing on a 32" TV screen the difference will be barely noticeable, in which case you have no reason at all to care about 1080p. In 2012, the best HD resolution you could get on a TV was 1080p. This resolution is supported by the Xbox 360, PS3, and Wii U. However, most games are released in 720p. This is because the power it takes to output such a detailed image can impact frame rates. Today's UHD, 4K, and better TVs can still show these games, but they don't as good as games/consoles designed to take advantage of the increased resolution. Ideally, you want a 1080p game running at 60 frames per second; ultimately if you have to choose one or the other, the frame rate is probably more important. This means it is easier to offer 1080p in a simpler game – say, a side-scroller like Rayman Legends – than in something more elaborate like Call of Duty: Ghosts. If you look on the back of a PS3 or 360 game box you will see that most of them will display at 1080p; however, many of these games are upscaled. This means that, while the game displays at 1080p, there are not actually 1,080 separate lines of visual information being supplied. Instead, a lower number of lines are used to extrapolate a 1080p image. Games that have a full 1,080 lines of data are said to be running in “native” 1080p. The PS3 has a fair number of native 1080p games, particularly among their downloadable, PlayStation Network titles. The 360 has only a handful of native 1080p games, the rest being upscaled. If you’re curious, a list of PS3/360 games and their resolutions can be found online. There are only a handful of Wii U games with native 1080p support; you're more likely to find that on the PS4 and XB1. The next console generation is likely to have most games at 1080p, so if you don't have a big TV yet, you may want to start saving up for one.